In spite of having so many electric car motors available in the market, only a few have made their presence felt as far as their usage in the electric cars is concerned. There are several criteria involved in the process of selecting an electric motor to be fitted into a homemade electric car. What are they? These factors are cost effectiveness, availability and “do it yourself factor”. The confidence of completing the complex task of installing costly components dominates the customer to a great extent. Let us discuss about different types of motors. The main attraction of this category is the fact that all the torque is available from a standstill. People usually make the mistake of identifying this as a special feature of electric cars. This is a wrong notion. It is an exclusive quality of the motor. But this type of motor is not without any flaw. This is not good at climbing the hill. The Electrical Engineering Training Series reaffirms it. According to them, the motor fails where a relatively constant speed is required under conditions of varying load. You can just imagine what it would be like when you are using your electric vehicle (EV) traveling on a hilly area. The DC series motor might not climb hills too briskly. Running without load this motor will fail you. It will turn with enough force to damage itself without load. Traveling can become a nightmare to the concerned person in such a situation. However The Advanced DC Series Wound Motor stays at the top in popularity in the category of electric car motors followed by GE and Netgain. 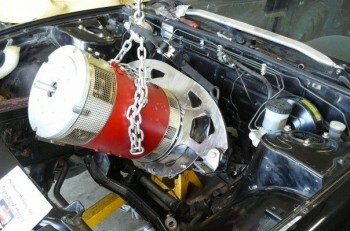 In spite of having a lot of drawbacks this one still ranks second in the category of electric car motors in popularity. All brushed DC motors generates electrical radio interference. The process of filtering electrical noise by windings does not take place in this motor. The permanent magnet motors have no natural filtering effect in their design. That is why they are noisy. That is the biggest disadvantage as far as this category is concerned. Because of this a lot of people shy away from purchasing this magnet based motor. Let us discuss the third one. Three phase AC Induction Motors is a costly affair because of the sophisticated inverters attached to it. If you take out the pricing aspect from this category they will emerge as the clear winner among all categories. It is not the normal AC power concept at the house. There is no extension cord plugged into the wall. It uses batteries like the DC motor and the inverter takes the place of the controller of a normal DC drive system. Though the cost is on the higher side it is really a worth buy. Suppose all types of motors belong to the same price category then there will be no competition for three phase AC induction motor. That speaks volume about the quality of this product. Are you planning to convert an old gas guzzler into a pure electric car? If you are, it is best you read up on the science of EV conversion. Before you begin your conversion project, check out the Convert2EV ebook by Les and Jane Oke. The Okes live a green lifestyle in Canada and one way of keeping their carbon footprint small is by using pure electric car. The Convert2EV manual was written based on their experience of retrofitting conventional automobile into electric vehicle. We have a 1978 Mg Midget that we own and are considering converting it to an EV. So is this Warp 9 DC Motor….but do you have any AC motors you can recommend? It seems virtually all the recent stories I have read on such a project seem to be now suggesting AC motors instead of DC. The reasons I have read seem like good reasons to do so. I have noticed that you seem to favor DC motors. Even new electric golf carts are mostly using AC motors. Do you have any info for us out there on using AC motors? I would like to suggest you address this issue on your email site and send out your views on this…AC vs DC.